You can see it best while looking at palms and lamp posts. There's a doubler effect always enabled. It was done to hide graphical issues on the PS2, I guess. However even if there is NO Traiils on PS2, as for me blur in Hero's mod does not look like PS2's. It is not complane. Just my opinion. Under "Gameplay features" I meant things like more complicated peds and vehicle's routs, places where they appear and (the most important) traffic that almost always present on streets in PS2 ver. I always hated PC ver for their empty streets. Sorry if "Gameplay features" phrase distructed you, my english is quite poor. I personally hate any kind of blur, motion blur or whatever on games, but yeah If it's indeed a PS2 feature, then I see no problem if it's somehow restored on PC, but please add an .ini option to disable it in case you decide to do it. So amazing. Thanks for your time and effort into creating something we've been waiting for, for 9 years! The Hero, there is happened something really nice to my carmod which I'm making. The PS2 reflections makes the paint much clear and naturally. The black plastic no longer looks shiny specular highlight and plain but real black as they ARE supposed to be. Those black plastic now looks much more close the real life plastic. i tried imitating them but never succeeded. 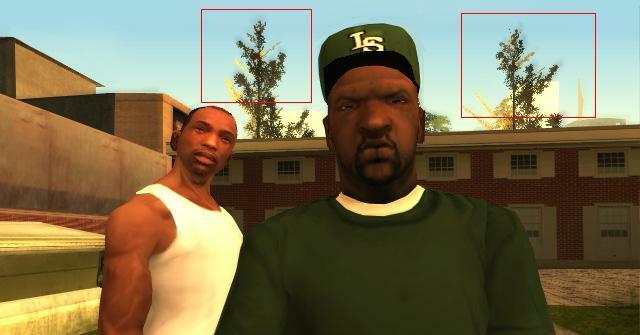 This PS2 reflections simply fixed it. I took screens with on and off. I really appreciated what you've done for this community! Now all we need is to remove those wheel reflections on some cars and this mod is perfect. Really, now seeing these comparison, I cannot..just cannot believe I liked the red without the PS2 reflections. I just can't. The black plastic now have the kind of black reflections I always tried to imitate but end up having the damn ugly specular highlights. And when specular highlight is off, then there is ugly simple plain black. Ah yes, take a look at the shadow under the mirror. AO map is now finally much more noticeable. You can see the shadow all over the body. For the Bikes maybe Aztecas can remove them manually by editing the model. I'm serious you should REALLY do that, will be funny as heck, btw that lamborghini looks amazing . Just wanted to drop this here in case it can help this project any more, it's all the files exclusive to the PS2 version only. I have no idea what most of these do, but maybe somebody does. New version. Wheels should no longer have a specular map. I replaced the pipeline of all car atomics having a name containing "wheel" with the default pipeline. EDIT: The Super GT looks wrong now (that it didn't before was coincidence). Please replace any broken cars with fixed versions (by Aztecas_5 e.g.). Does this apply to the whole wheel or just on the "vehicletyres128" texture? Thanks god, I have all fixed cars by Az. also thanks for your hard work Hero. EDIT: also Camper. Transparent windshield when F6'd back to PC pipeline. But it looks like it's just Fixed Vehicles that have the problem. Removed Fixed Vehicles and went back to vanilla and windshields are fine. other vehicles are too bright, 90% of the vehicles body is covered with spec. I dont know if other mods causes this. What are other vehicles? What you're describing is what broken vehicles (wrong environment and specular information) look like. Have you used fixed vehicles? I already have, link is in my signature (EDIT: I just noticed I only have old versions public, I will build the newest versions now). I'm planning to convert the PS2 map 1:1 to PC which will make heavy use of these converters so there will be some bug fixes as I find them (currently working on the TXDs). Note that vehicles have the collision model embedded in their DFF, but PS2 vehicles have no mesh for stencil shadows. So you can't (or shouldn't) use stencil shadows with 1:1 converted PS2 vehicles, you can use my ASI from the other thread to disable them. 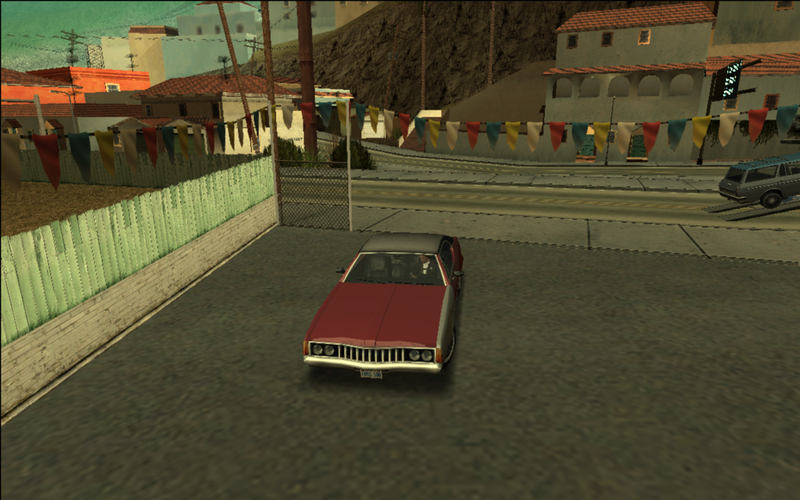 the police vehicle in the intro cutscene shows the same thing and no I didnt use any fixed vehicles yet. Alright, I put Dexx's old strange check back in. The environment bugs should be back to how they were in the previous version. I'm still not happy with it but as it seems to reduce noticeable bugs, I'll leave it in for now. Btw which asi plugin to disable it? I will update the rwconv programs now. So you can use them to convert vehicles then. EDIT: BTW, can it convert the PS2 ped/skinned DFF? Haha, Aztecas_5 already PMed me a while back about that but I didn't take a look yet. Probably has to do with bone IDs. What's the problem exactly? Does the game crash? This is the thing i wanted to tell, http://s10.postimg.org/aulbn5o3d/bug1.png... its not really bothering me, just posting bugs i think related to the mod.